What have we learned? | Stand, spray and deliver. Well, 3 busting rounds have come and gone from the Rugby League season and what have we learned? It’s fair to say that those idiots claiming the Tigers to be premiership favourites are right now dining in the dust left by Melbourne, Canterbury and Manly. Goobers! I’m a one eyed Tigers fan, but even I didn’t dare put us into premiership favouritism. I mean, what had really changed from last year to this year? We got rid of Lui, (a hole in defence anyway); were banking on an unproven fullback in Tedesco (shot down by the sniper); and we still had Utai named in our strongest squad (a man who will walk away from Rugby League with a larger lowlights reel than Chris Walker). But it seems the dimwits and knuckle heads from Fox and other media outlets thought differently, and for the life of me I still can’t work out how. And so far I’ve been proven right. I know we’ve had some injuries, but still, our defence shatters harder than a Violet Crumble and our attack thinks the try line is located on the sides of the field and not at the ends. The only positives to come out of the first 3 rounds as far as the Tigers are concerned is the sight of Matt Utai on the sidelines scoffing hot dogs and chips and the workings of a good selection policy for the cheerleader squad seems to be still producing the goods. We have also learned that while a team has the names Slater, Cronk and Smith on a team sheet that team will be harder to beat than a Mike Tyson forehead and should be considered premiership favourites while ever those 3 individuals are on the park. It took 3 rounds for everyone to be reminded of this? Well that’s certainly the case for some of the half-wits in the media. And what about Parramatta? These clowns supposedly bought well, but have so far come up with diddly and squat in the win’s column and have a bigger deficit in the for and against page than a Greek balance sheet. But that’s what happens when you sign a clown for 500,000 beans, who has played no rep footy, plays for himself and tries to use a shoulder charge as his primary defensive weapon while only being 5ft high and 78kg. Honestly. 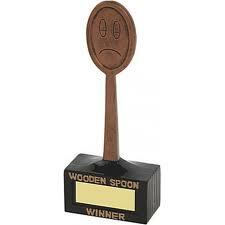 Things are not so bright for the blue and golds this year, I say start making room in the top draw for another spoon. And lastly, what about the egg heads over at South Sydney? Theses idiots have had one of the most gifted footballers on their roster, a man who can play anywhere and flatten any would be defender. A man who can run like a rabbit and hit like a storm (I’ll give myself a pat on the back for that one). That’s right, I’m talking about G.I. Did it really take this long for the wallys at Redfern to realise that he’s seen stuff all ball in nearly 2 seasons? That he started his career as a fullback? That they are paying the price of a small island for him to be there? Obviously not! At least Macquire made the change which everyone else in the world saw as a no-brainer by moving the big unit to fullback, but it still took him 3 rounds. Christ, what have they been looking at! 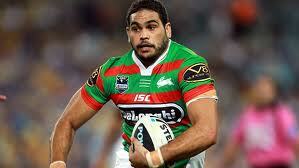 Souths now actually look like a genuine threat with him there. And it certainly covers for Sutton’s often lack of creativity and flair, another bug bear for Souths fans. Oh my God, I'm running! Yeeeeehaaaah! So, there are a few things we’ve learnt from the start of the season. What about yourself? Could not have sprayed it better.Tiger “stars” have to put away the egos and muscle up in defense. Looks like Canterbury have finally bought the right coach. Looks like the bloody Dogs are back this year. It appears that Des can brainwash any first-grader into a programmed drone who plays out his winning gameplan to a tee. Ben Barba could really cut loose this year under his tutelage! As for the Tigers, don’t go off too early old son! You know they’ll be sniffing around the top 4 at season’s end, provided the 6 & 9 remain injury-free. Canberra have too good of a side to be lazing down south for too long also. If they don’t step up to at least a top 6 spot (too many years of being first finals week sacrificial lambs) then David Furner could find himself on the dole queue.